Two Best Friends. Three Crazy Nights. Tons of Special Guests. No One is Safe. 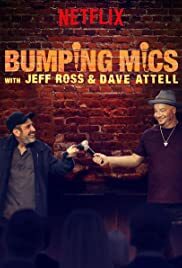 Bumping Mics with Jeff Ross & Dave Attell, a Three-Part Netflix Stand-Up Event, premieres November 27th.